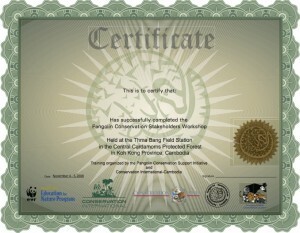 The EWCL Pangolin Conservation Support Initiative (PCSI), in partnership with Conservation International-Cambodia (CI), funded and implemented a two–day training workshop in the Cardamom Mountain region of Southwest Cambodia for conservation stakeholders to further existing efforts to combat the illegal trade in Asian pangolins. Tens of thousands of illegally harvested and marketed pangolins are seized by officials each year from poachers and traders responding to unceasing demand, principally from China, for pangolin meat, blood, skin and scales. The workshop will provide information about aspects of pangolin conservation including: field identification and natural history, national and international wildlife protection laws; confiscation and survival protocols, repatriation and the role of customs, border control and law enforcement. More than 50 local school children from the Cardamom Mountains joined in the workshop events for the launch of the first outreach campaign to focus solely on Asian pangolin conservation, and along with workshop participants received materials developed (and translated into Khmer) by PCSI and CI-Cambodia including a two page fact sheet, a poster, and a coloring page on pangolin conservation. 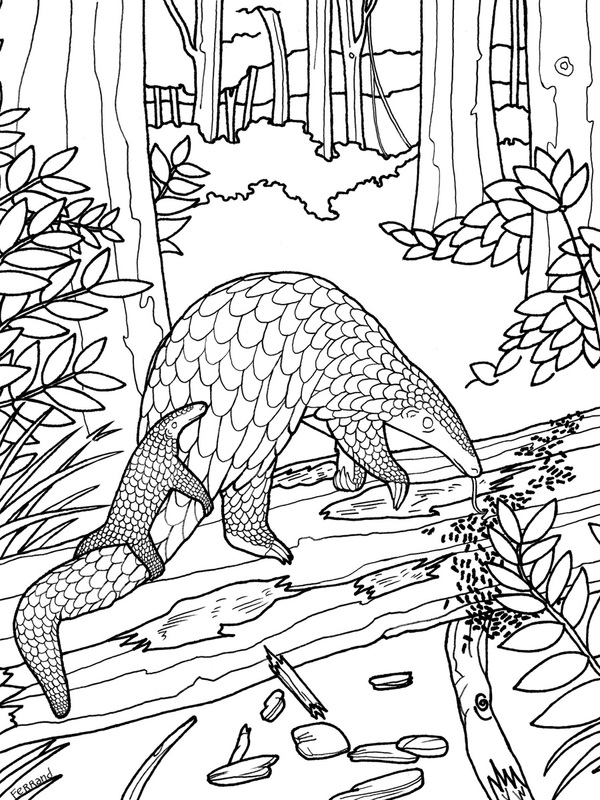 These materials will be shared with other non-governmental organizations and government agencies working on species protection across Cambodia and Asia through the new website SavePangolins.org, the most comprehensive pangolin website on the internet. 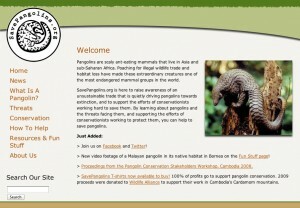 Developed by PCSI to increase global awareness of pangolin conservation, the website contains a wealth of information about pangolins, highlights the activities of conservation groups working to conserve these imperiled animals, and directs people to ways they can help contribute to pangolin conservation. 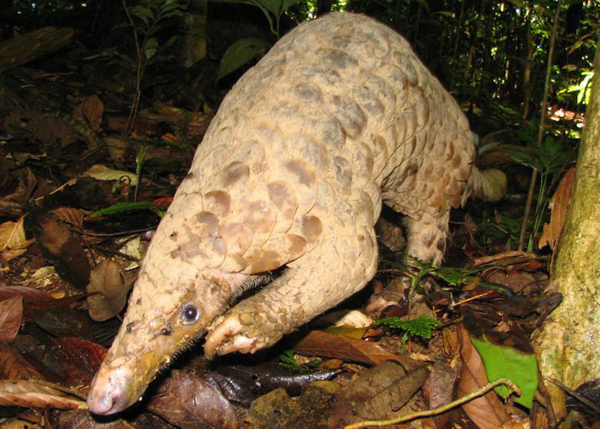 SavePangolin.org is the first public website to maintain an all-encompassing archive of news media on pangolins; articles from media across the world are catalogued to document instances of poaching, confiscation, and the small but growing fight to conserve the species. To date, more than 1,000 people have visited the site. The group was able to get a graphic designer to create a logo for their project. The group worked with an illustrator to create a kids coloring page. 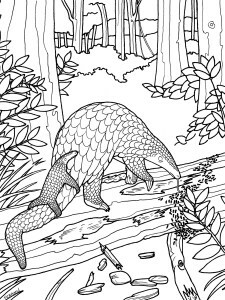 They created a website at savepangolins.org where they keep current information on pangolins, answer questions from the public, and sell pangolin-logo merchandise. Pangolin Conservation Stakeholder Workshop & Pangolin Conservation Outreach Campaign, Cambodia, 2008. For a synopsis please see www.savepangolins.org/conservation/workshop. 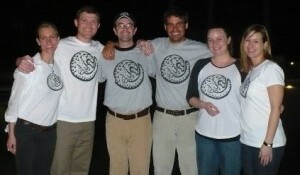 Visit savepangolins.org for more information on how to help save the pangolin species.